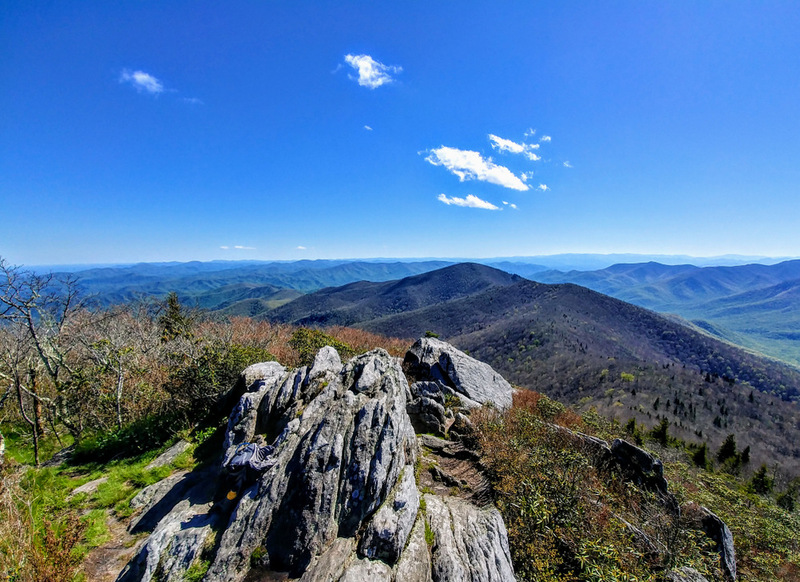 The Bald Knob Ridge Trail is located in a remote area of the South Toe River Gorge, miles south of the popular Black Mountain Campground in the Appalachian Ranger District of Pisgah National Forest. 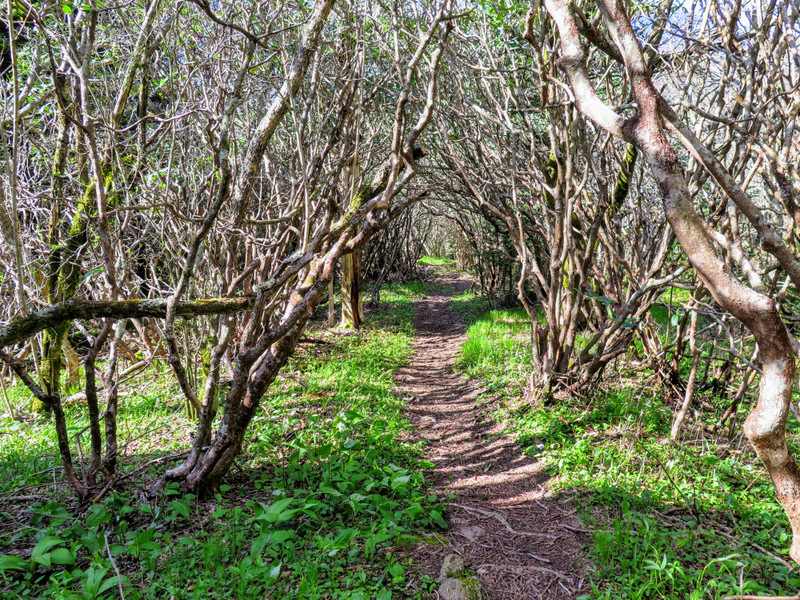 In the shadow of the Black Mountains, this trail gently climbs Bald Knob Ridge through beautiful forests. 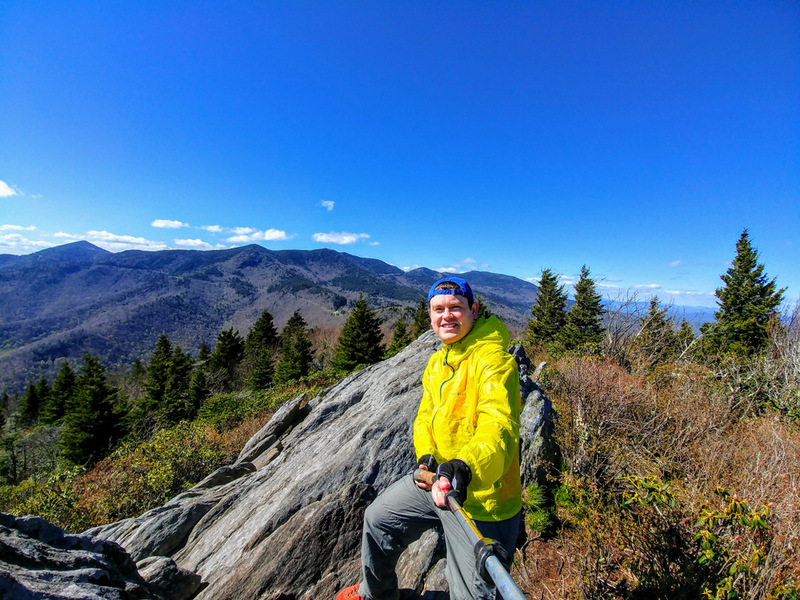 Although lacking in views, the gradient and variety of landscapes makes the hike a worthwhile destination on its own. 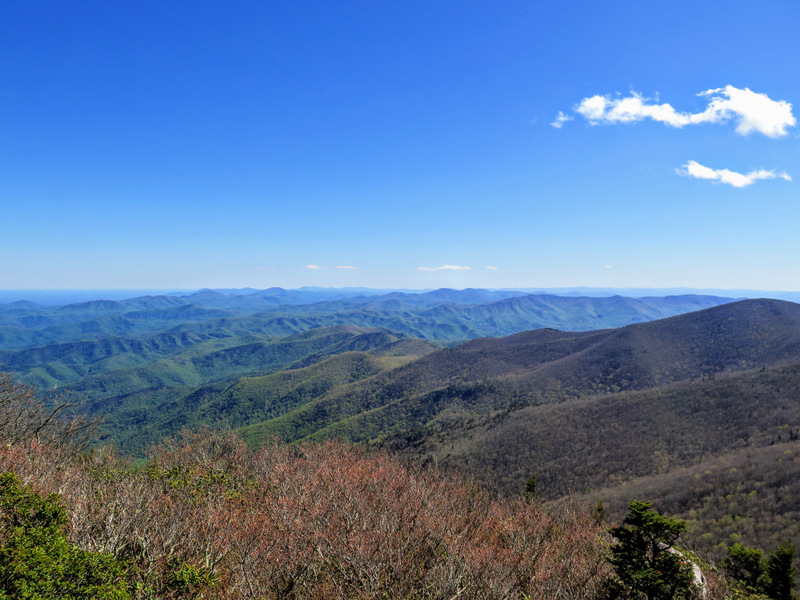 However, if you walk south 0.2-mi on the Blue Ridge Parkway, you can take the short Pinnacle Trail to cap your hike with incredible views. 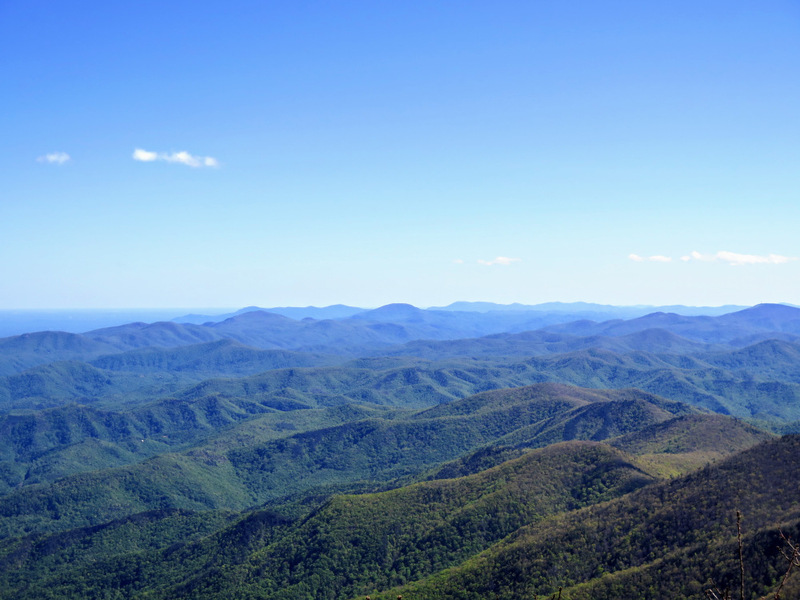 Pinnacle, at 5,665 feet, is encompassed by the Great Craggy Mountains to the west, and the Black Mountains to the north. 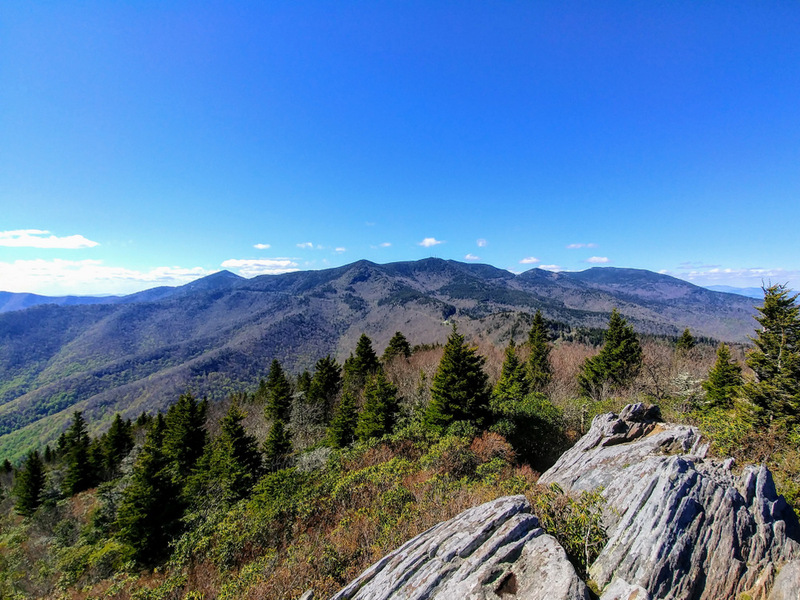 Although this peak is easy to access from the parkway, you’ll probably have the mountain to yourself at any time of the year. 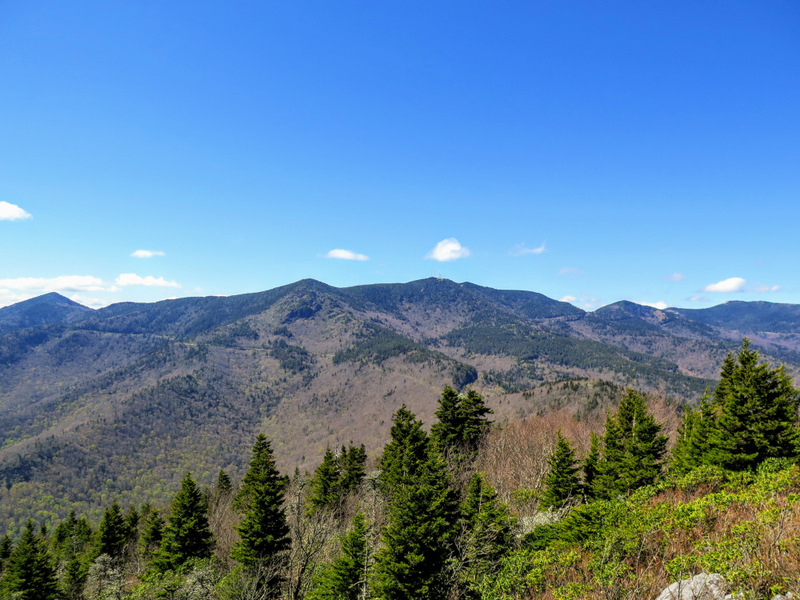 At 7.2 miles this hike may appear long and difficult, but the only steep section is the short summit hike to Pinnacle. 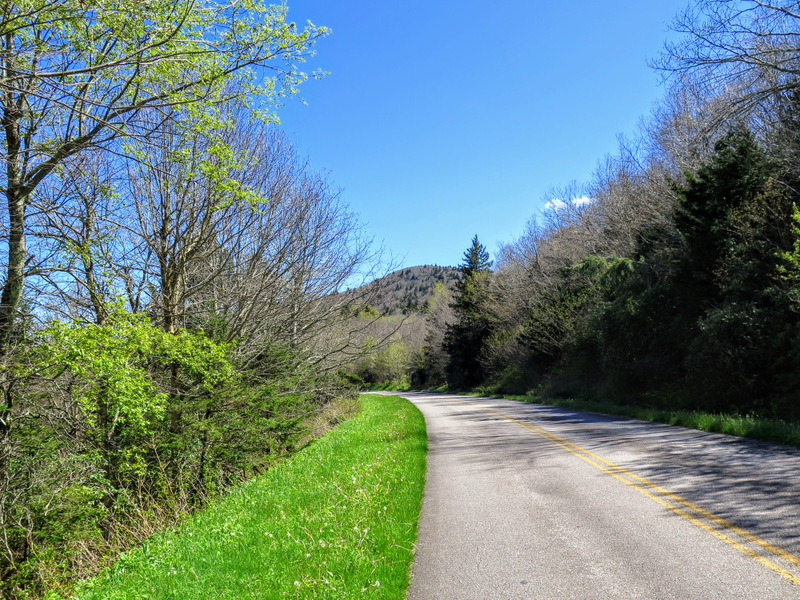 Seasonal Access – South Toe River Road/FR 472 is gated late Fall to early Spring at the Blue Ridge Parkway intersection and the Black Mountain Campground. 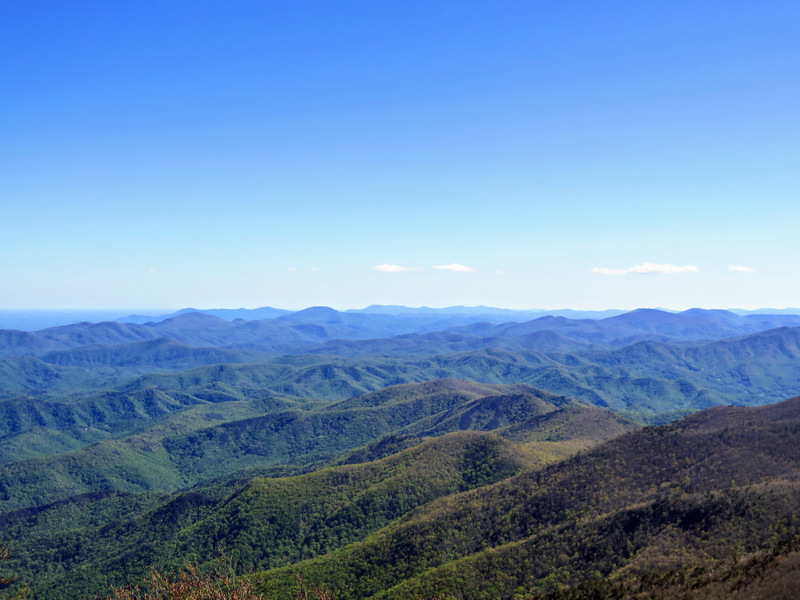 The Blue Ridge Parkway is also closed frequently throughout the winter season in this high elevation region, typically from NC 80 in the east to Elk Mountain Scenic Highway in the west. 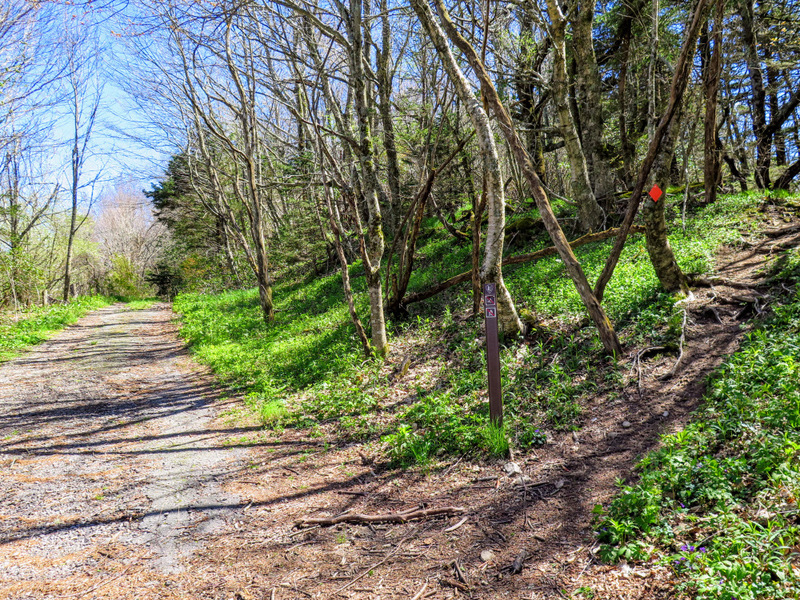 Access to either trailhead from November to March is unlikely because of these closures. 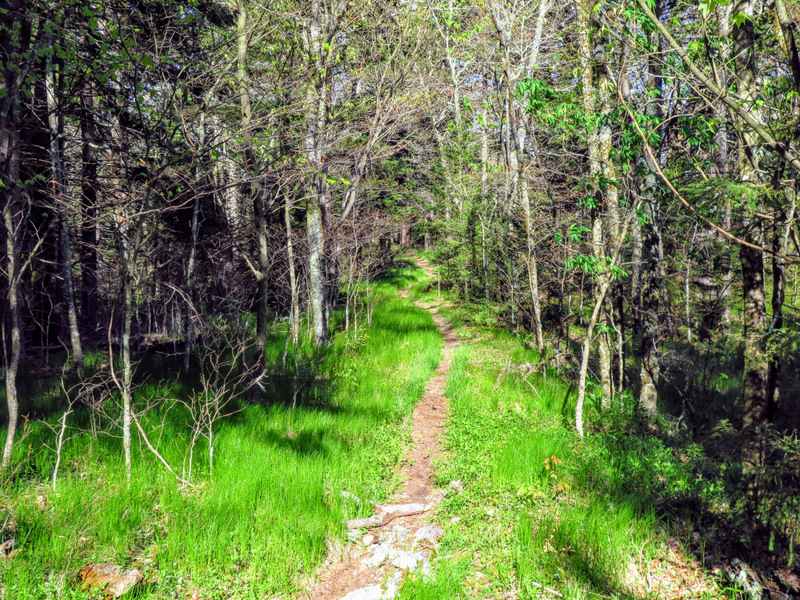 Mile 0.0 – The Bald Knob Ridge Trail  (white and yellow blaze) is located beside the bridge over Left Prong South Toe River. 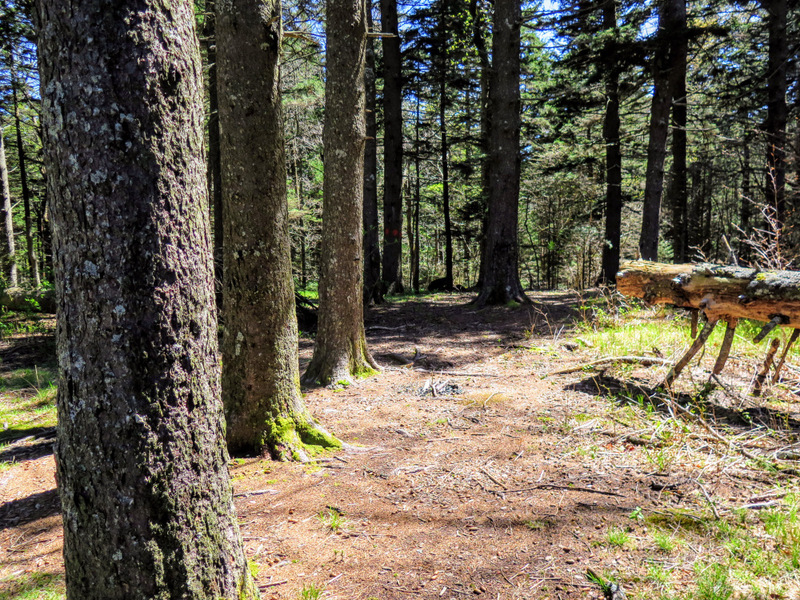 There is not much room to park, but this trail is isolated so it is likely not an issue. 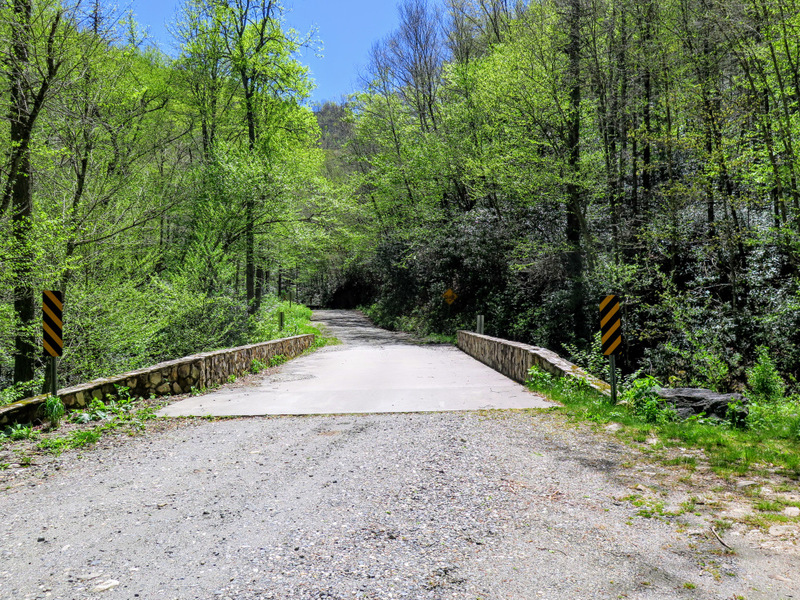 There is also a small parking area shortly up the road, on the other side of the bridge over Hemphill Creek. 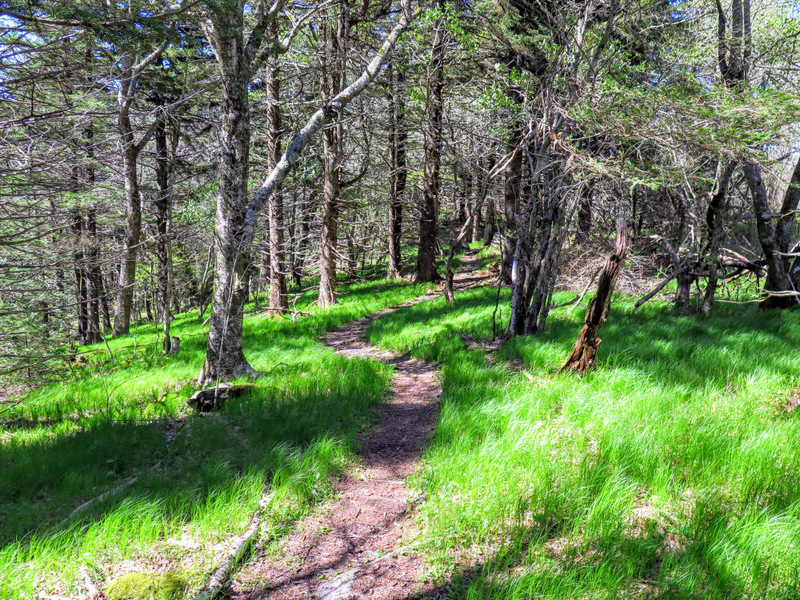 Begin the Bald Knob Ridge Trail, which is a well-maintained single-track trail that gently climbs the east slope of Bald Knob Ridge. 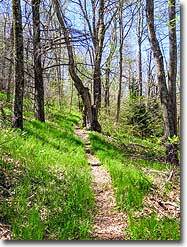 You’ll follow many switchbacks through sparse hardwood forests. 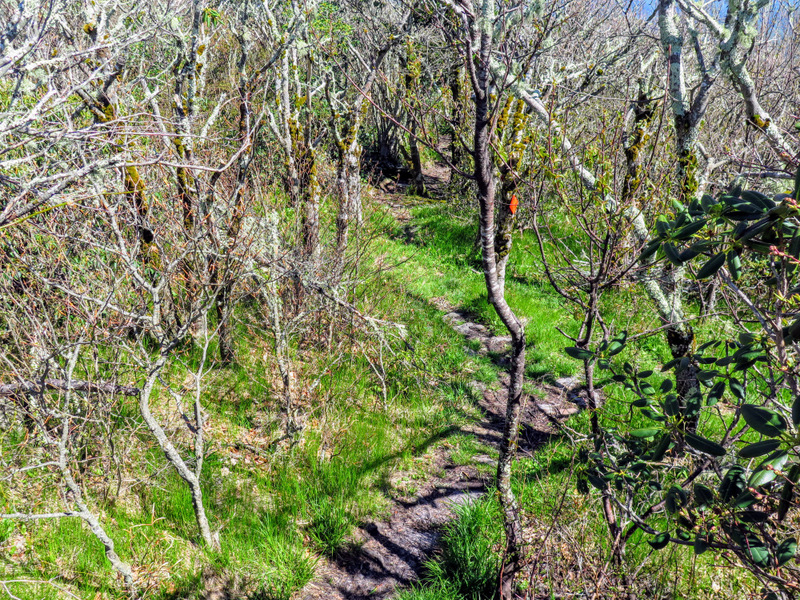 Mile 1.3 – The trail levels out on Bald Knob Ridge heading west. 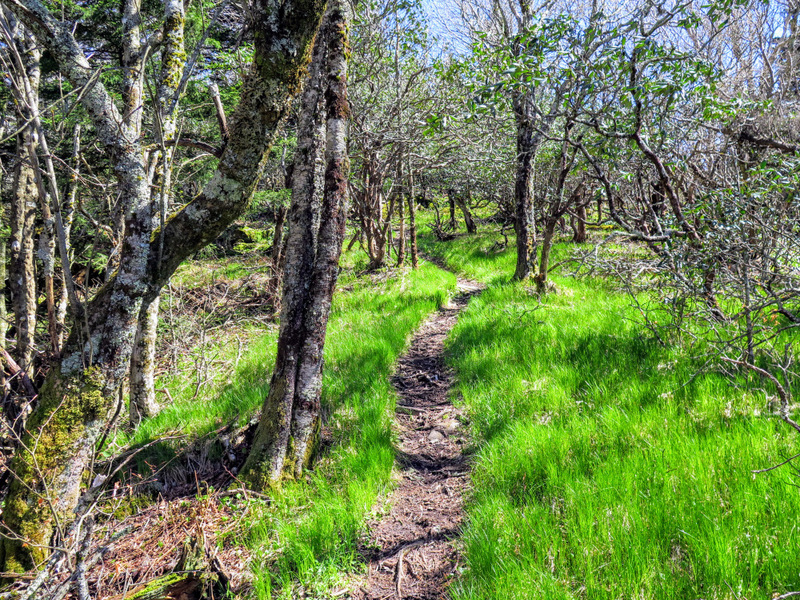 Mile 2.7 – Pass by campsites on the left side of the trail amidst tall conifers. 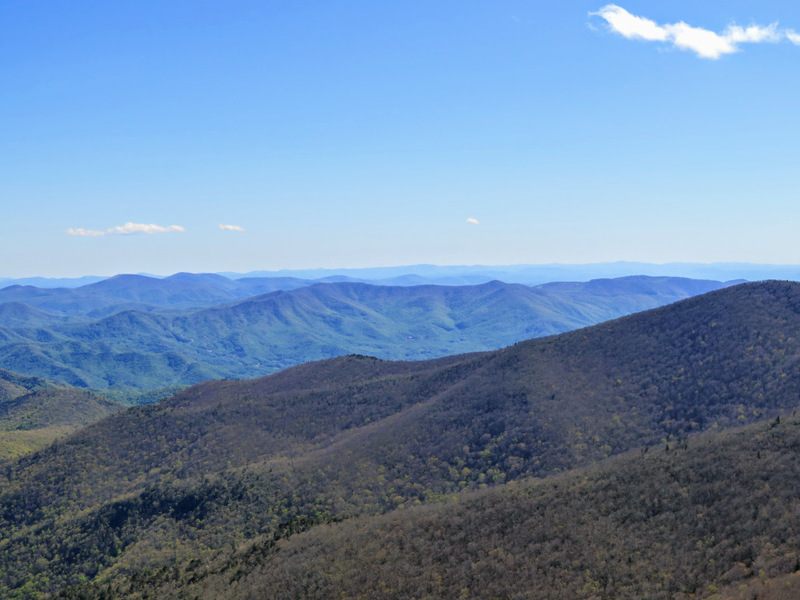 Mile 2.8 – The Bald Knob Ridge Trail ends at the Blue Ridge Parkway at milepost 355. Turn left and follow the parkway south. 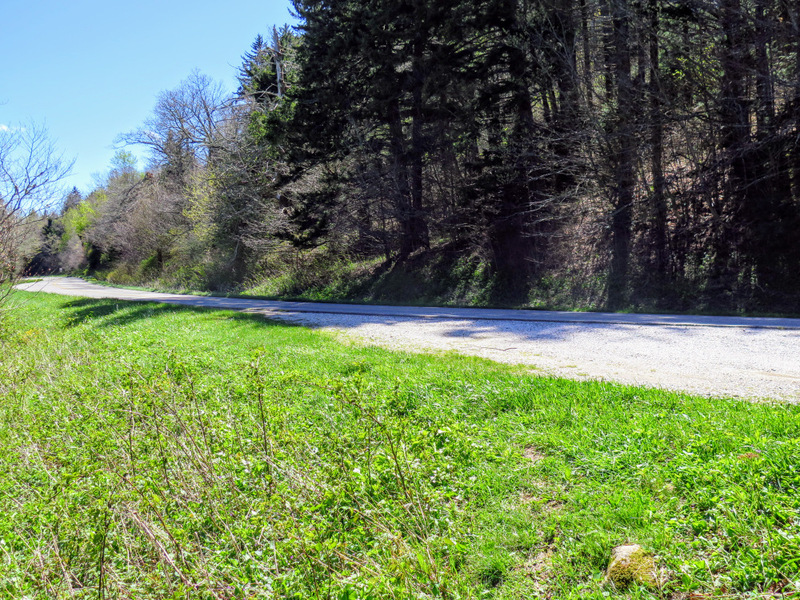 Mile 3.0 – The obvious gated forest road on the right is the Old Mitchell Toll Road. 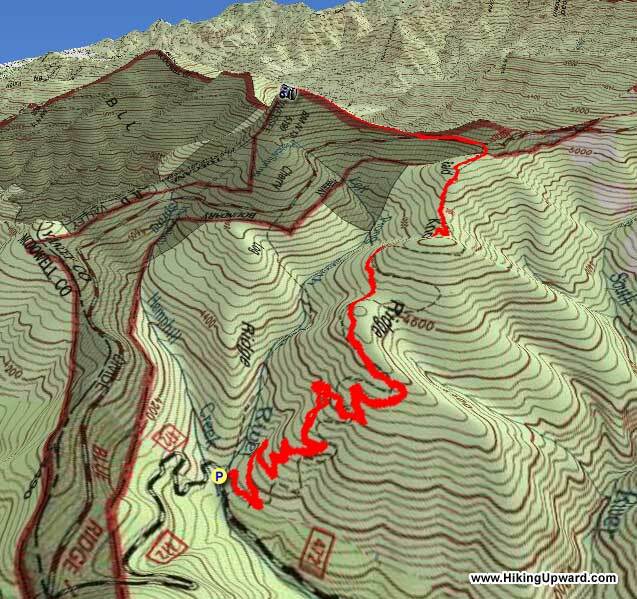 You’ll see the beginning of the Pinnacle Trail (red blaze) on the right beyond the gate. 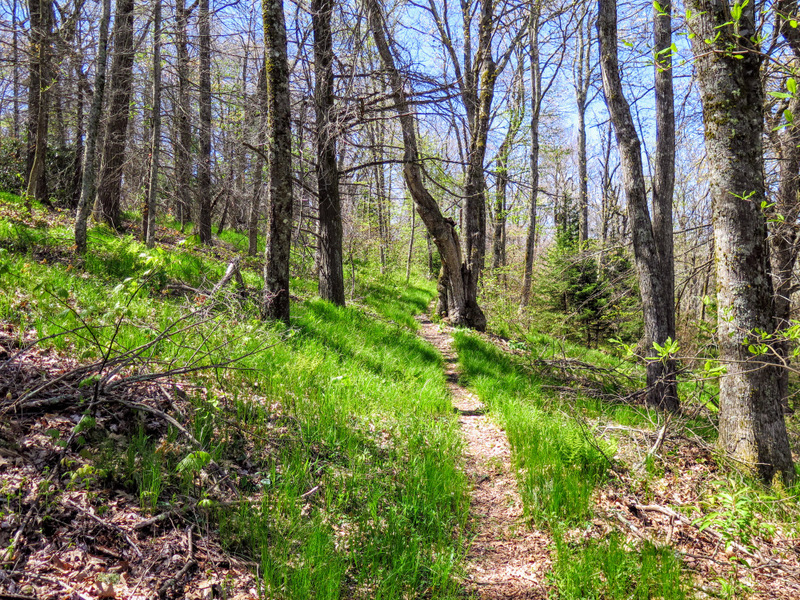 The short but steep grass-lined summit trail passes through a magical variety of forests. 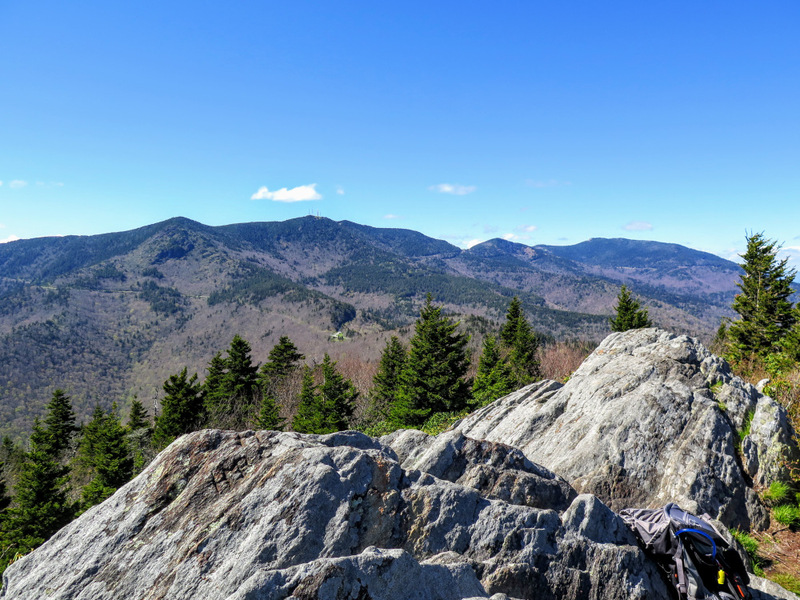 Mile 3.6 – The trail tops out at Pinnacle which features a series of open rock outcrops. 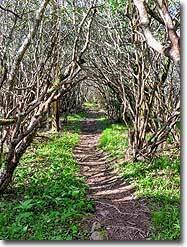 First follow the trail to the east and take the right fork. The left fork is blazed and heads down the mountain. The right fork ends at a viewpoint. 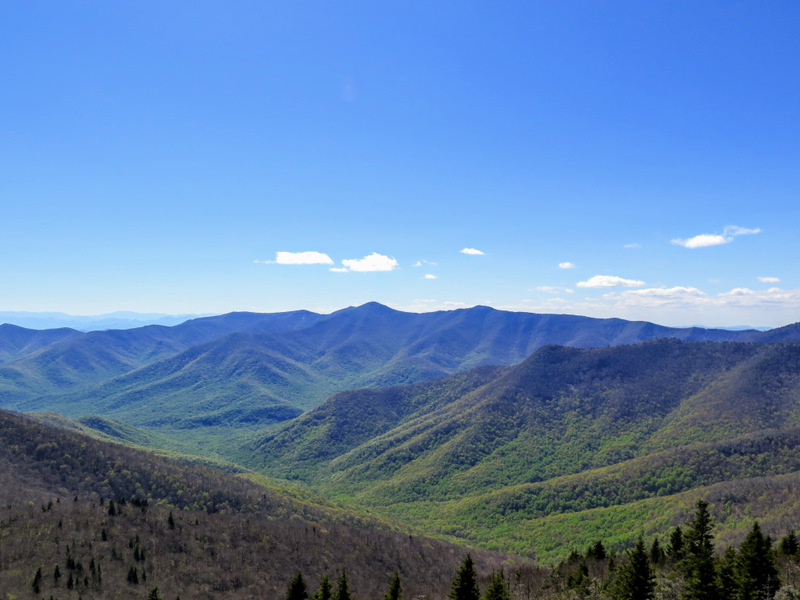 From here you can see Mackey Mountain and Green Knob east, with the South Mountains in the distance. 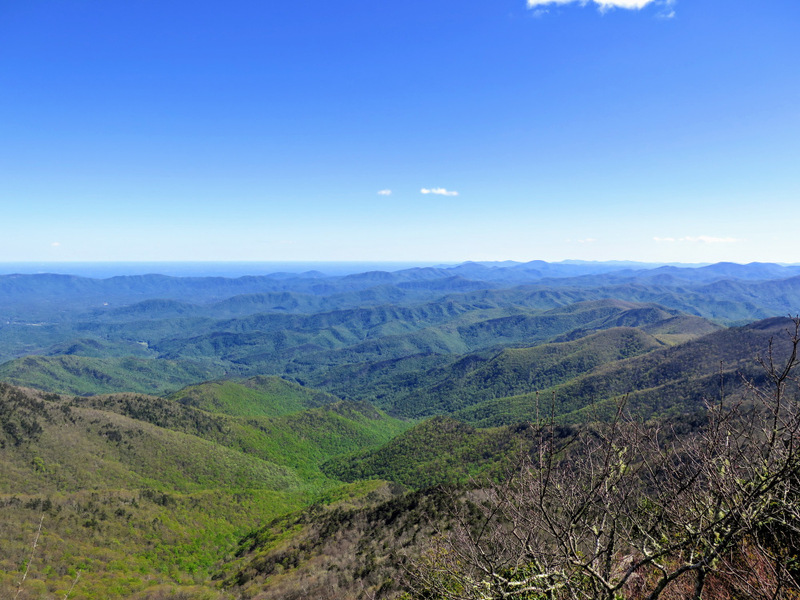 To the south lie the Swannanoa Mountains and Hickory Nut Mountains. 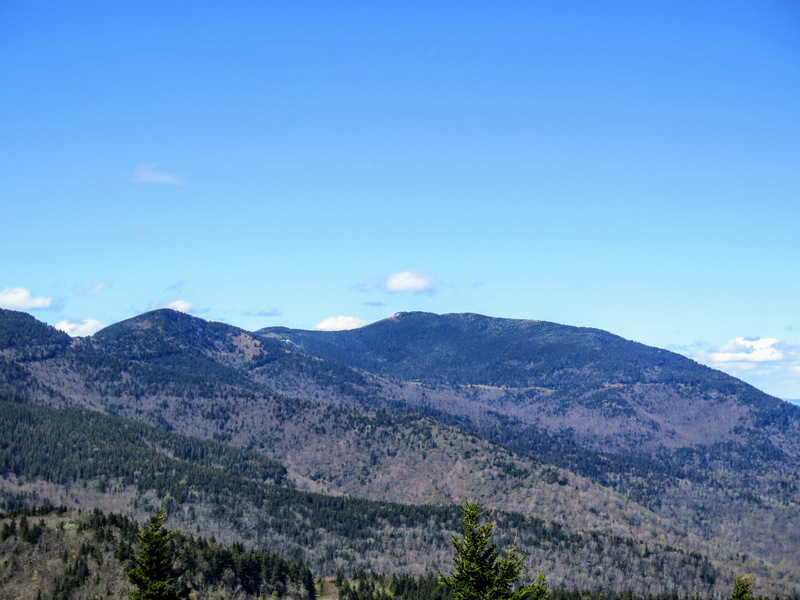 The large, round peak in the center is Bearwallow Mountain. 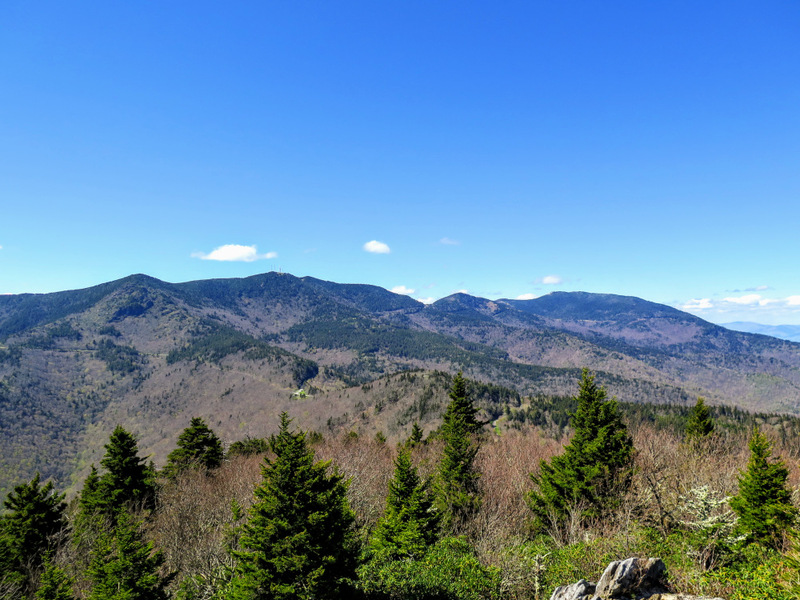 Pinnacle, at 5,665 feet in elevation, is the tallest point of the Middle Mountain massif. 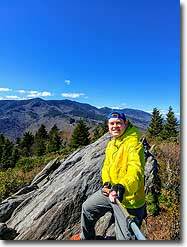 The rock outcrops afford outstanding views south, west, and north. 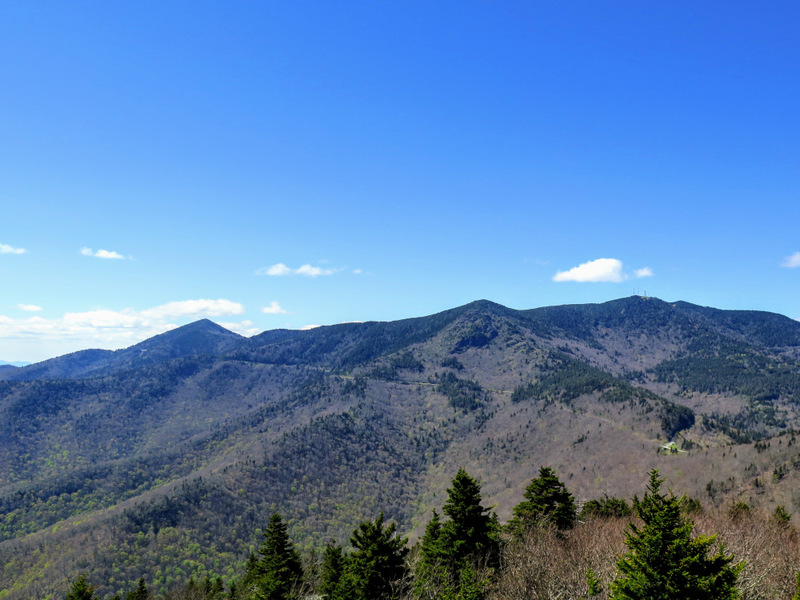 Graybeard Mountain is the prominent, round peak due south, with the smaller Rocky Knob in the foreground on the right. 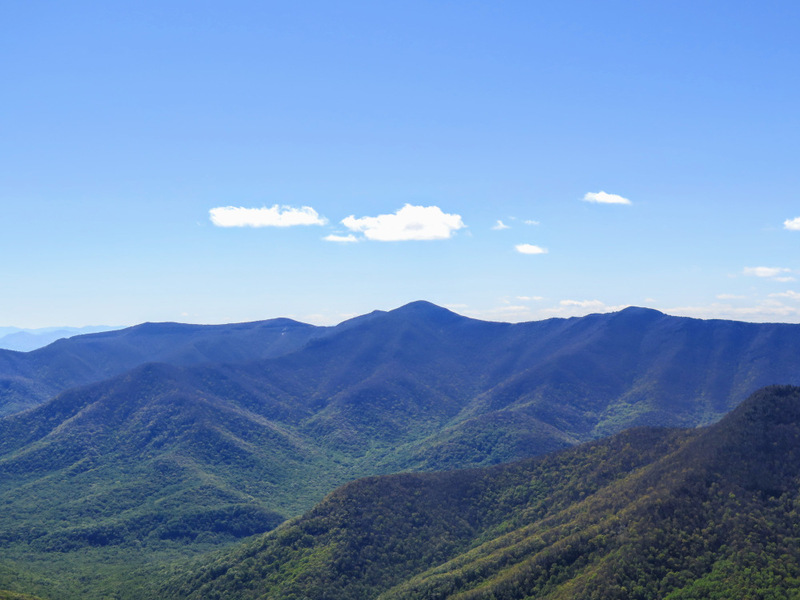 The Swannanoa Mountains are behind Graybeard Mountain and the Hickory Nut Mountains further south to the left. 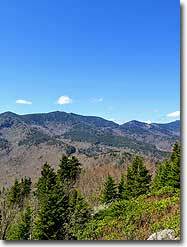 Towards the west the Great Craggy Mountains rise thousands of feet above the North Fork Swannanoa River. 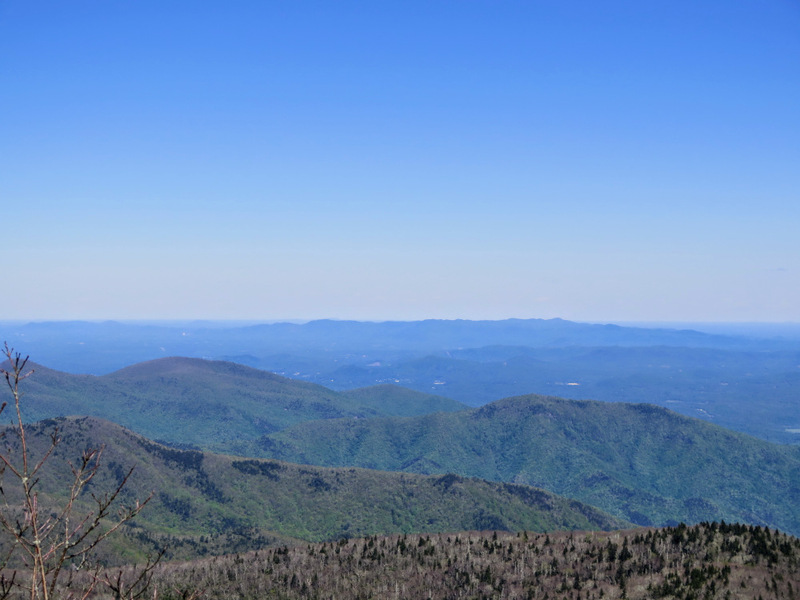 The tallest peak in the range, Craggy Dome, is in the center of your view, with Bullhead Mountain on the right and Craggy Gardens on the left. The Black Mountains dominant the view to the north. The tall, broad peak on the right is Mt. Mitchell. 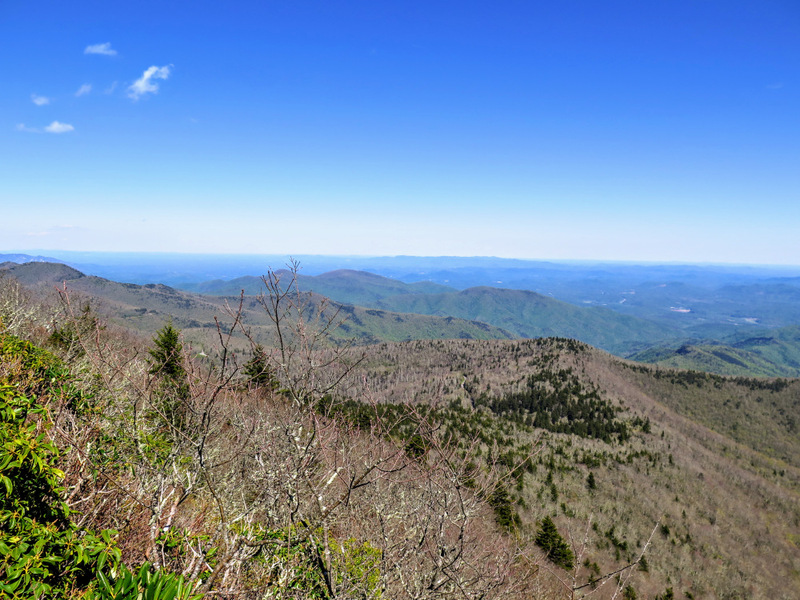 Clingmans Peak and Potato Knob are in the foreground, with the conical Blackstock Knob on the left. 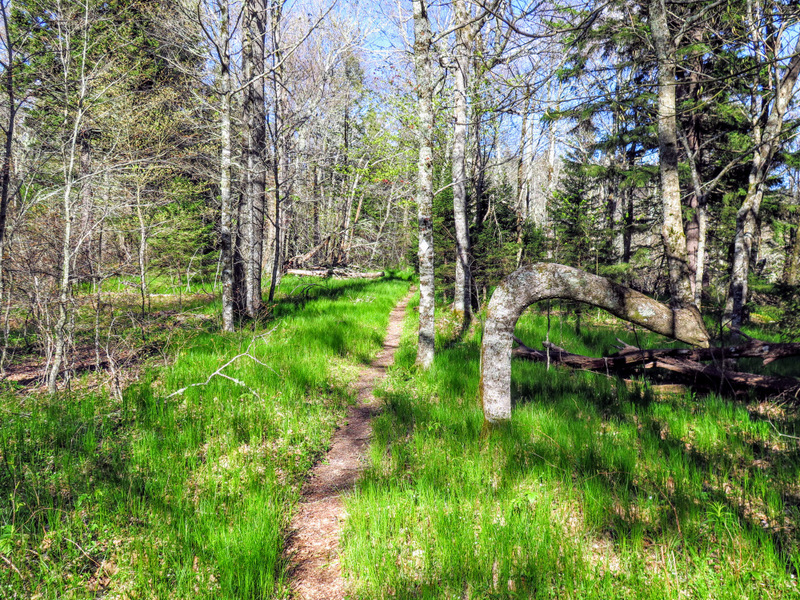 Mile 7.2 – Hike ends at South Toe River Rd. 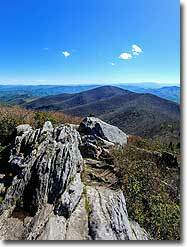 The Bald Knob Ridge portion was great. 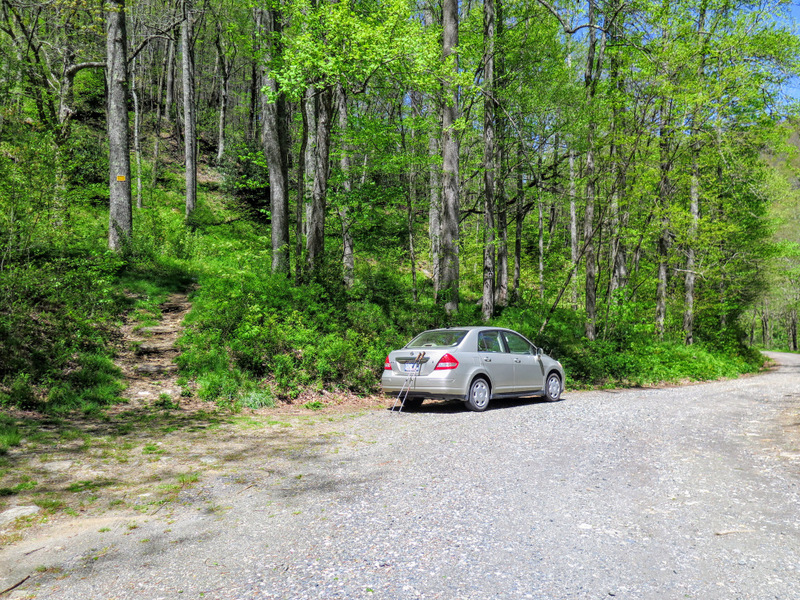 The access road was still closed, but there was room to park at the top. 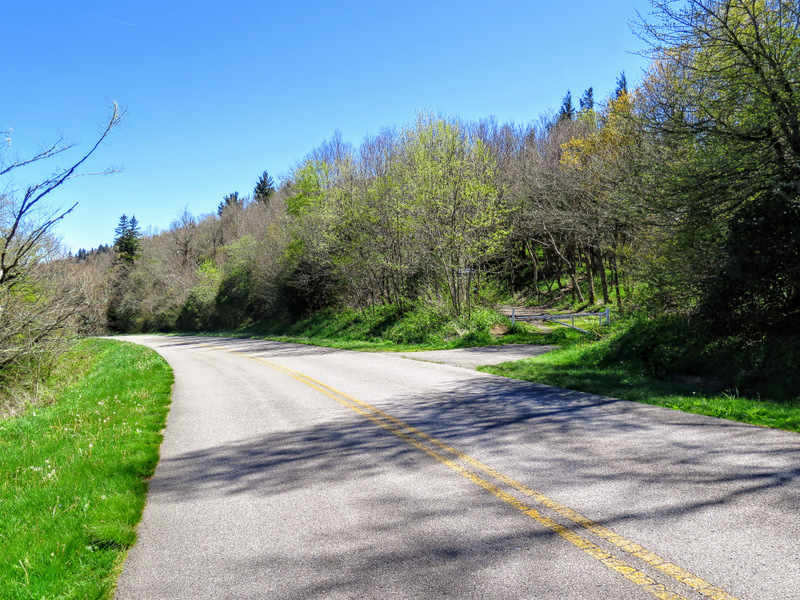 The road is somewhat steep down .7 miles, so add that in to your hiking plan. 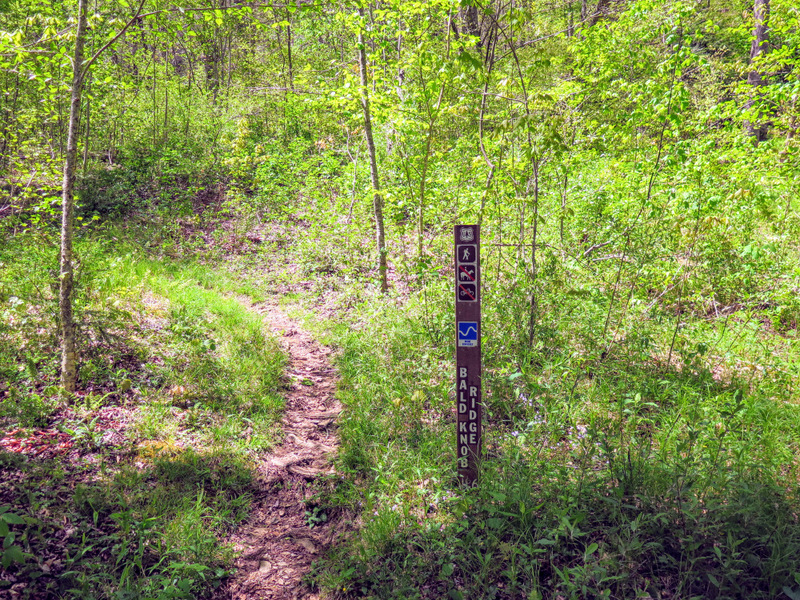 Additionally, the trailhead to Pinnacle is NO LONGER marked. Looks like the post was ripped out & the red trail marker is missing. 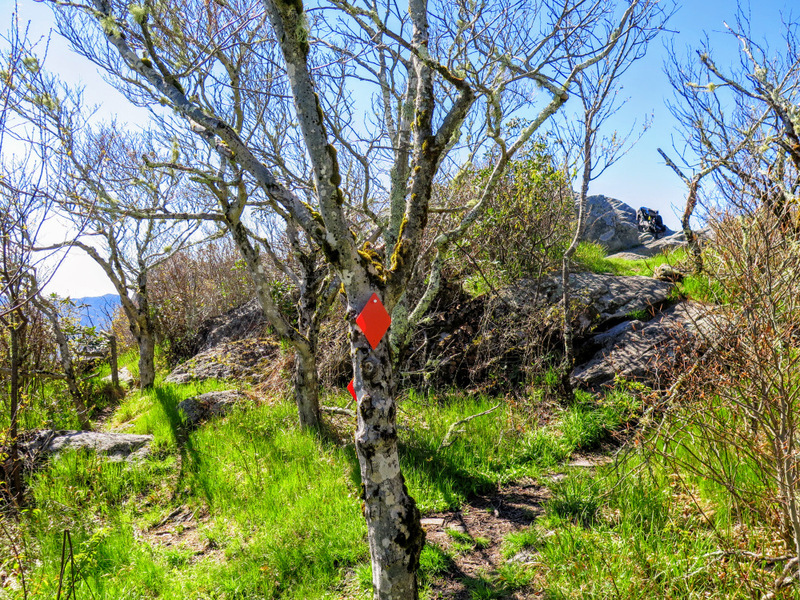 There are no trail markers on trees going up the mountain, but there are several coming back down (???). The trailhead is immediately after the old gate though - pretty clearly on the right just after the gate.